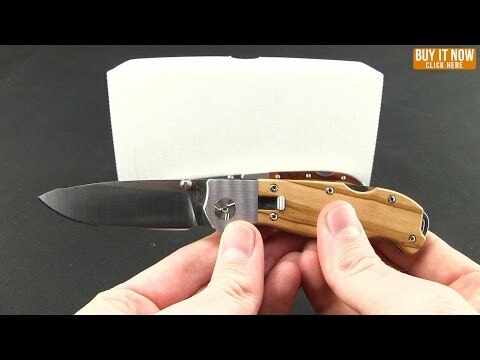 While it's extremely difficult to procure a Ron Lake handcrafted knife, nigh impossible, a suitable alternative exists in the form of the LakeR Model-1 lockback folder. Designed by Ron Lake, the Model-1 is a highly refined, Italian crafted knife. 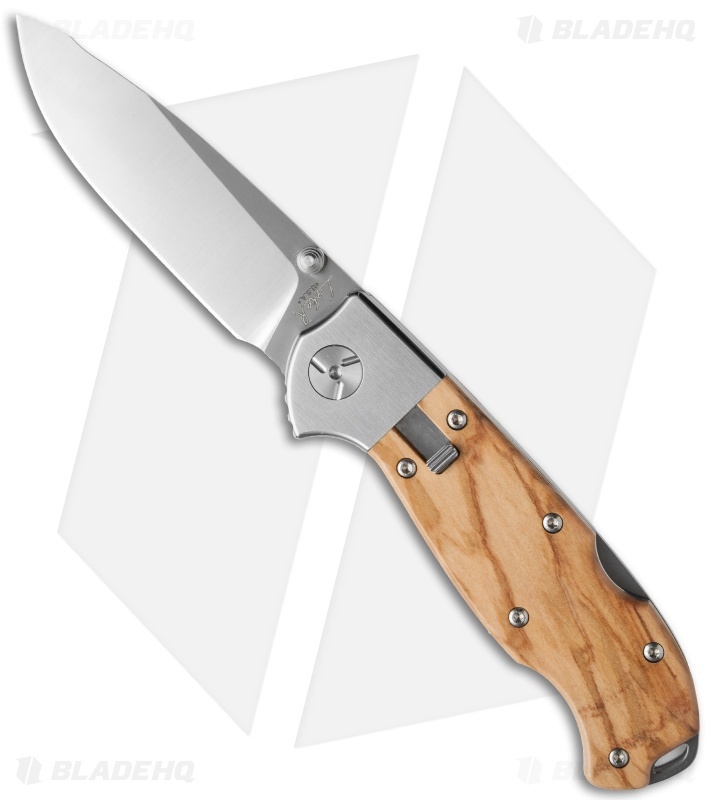 New for 2014, this is the first limited edition run of just 275 knives, available in Bocote, Cocobolo, and Olive wood handles. 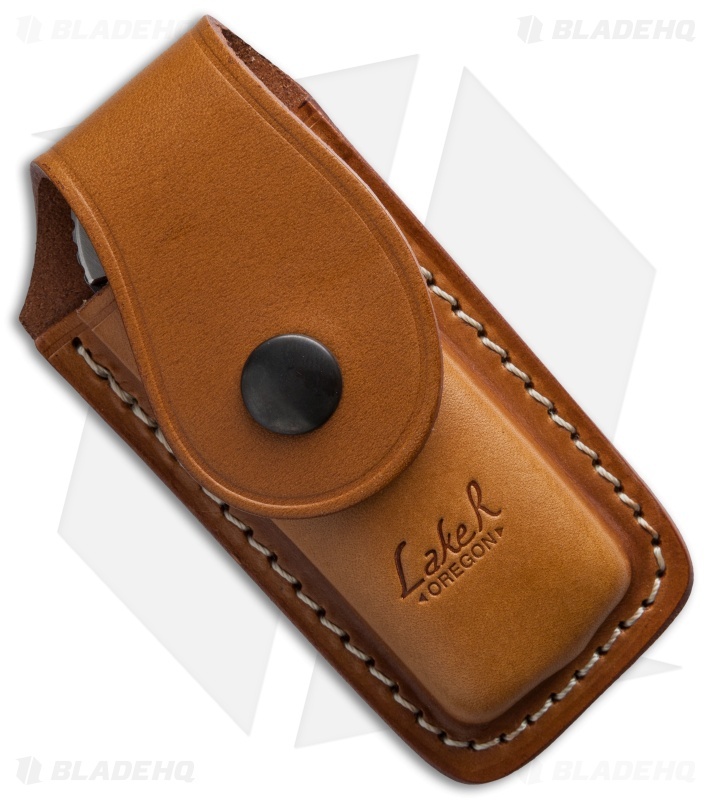 The LakeR Model-1 lockback knife features Ron Lake's patented dual safety mechanism, a simple slide interface that locks the blade in both the open and closed positions. 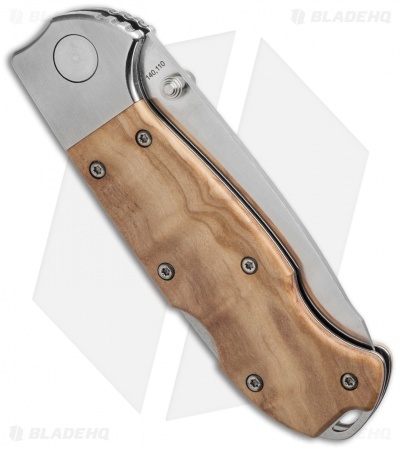 It is outfitted with a modified drop point blade that features a caping finger nest jog at the tip along with dual thumb studs for simple one-hand operation. 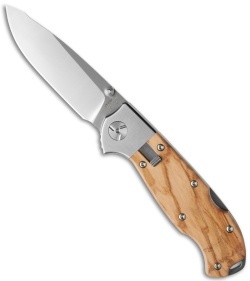 This one has a Olive wood handle with brushed satin stainless steel bolsters and liners with a slot for lanyard attachment. Included with the Model 1 is a premium leather sheath for belt carry.